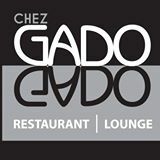 Bold and chic, the casual fine-dining & functions venue Chez Gado Gado, has a big – but suitably playful – name. After over thirty years, the restaurant has earned itself a long-standing legacy in what is usually only fifteen minutes of culinary fame. 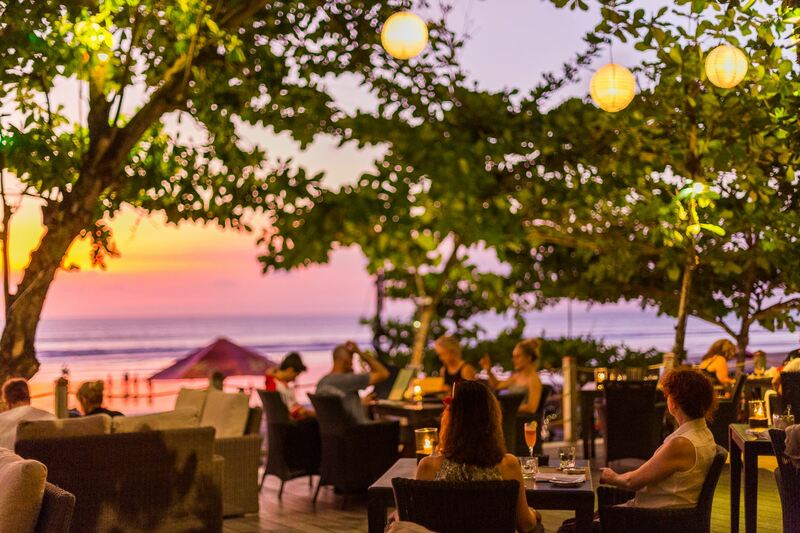 What began as one of few nightclubs dotting Bali’s beaches has bloomed into a fine and adult experience – without ever outgrowing its lighthearted moniker. Modestly standing to the side tail-end of Jl. Dhyana Pura in the bustling labyrinth of Seminyak, Chez Gado Gado has the appearance of a strong and quiet secret, reluctantly shared – despite ease of access, being right on Double Six Beach, and ample parking space. Gado gado is a tasty local dish with a recipe that varies island-to-island, chef-to-chef, or possibly even nightly. It’s a medley, a mix of vegetables, and a playful mutt, always doused in delicious peanut sauce. As a restaurant offering primarily Pan-Mediterranean cuisine with menus thought up by an ingenious Dutch chef – on an Indonesian island – it’s easy to see why the name is an apt one. Chez Gado Gado is an exotic and ambient blend in a magical location with unsurpassed views of the orange sunsets over the Indian Ocean. Staffed by passionate people from all around the country – plus a Sommelier from Chile offering a distinctive wine list – this delectable secret is an exotic blend, in deed. 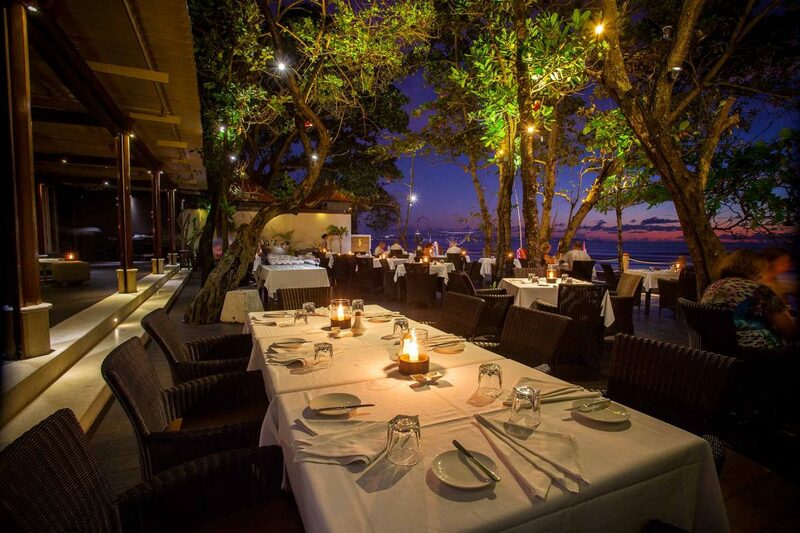 Recently reopened after major renovations, the venue maintains a classic vibe with stern attention to detail in its engraved woodwork while the restaurant also provides a modern and contemporary environment great for events or functions. Not only has the venue evolved, the menus – including the Chef’s Tasting Menu – have come a long way. The latest menu, Sunset Bites, has a lot to offer one wishing to enjoy the sunset – going down directly in front of you. 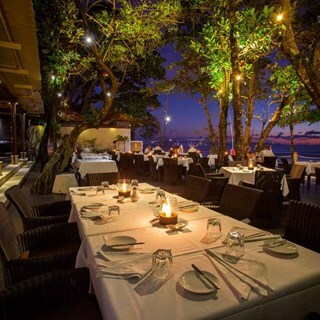 The menu was created to involve the best available produce from around Bali. 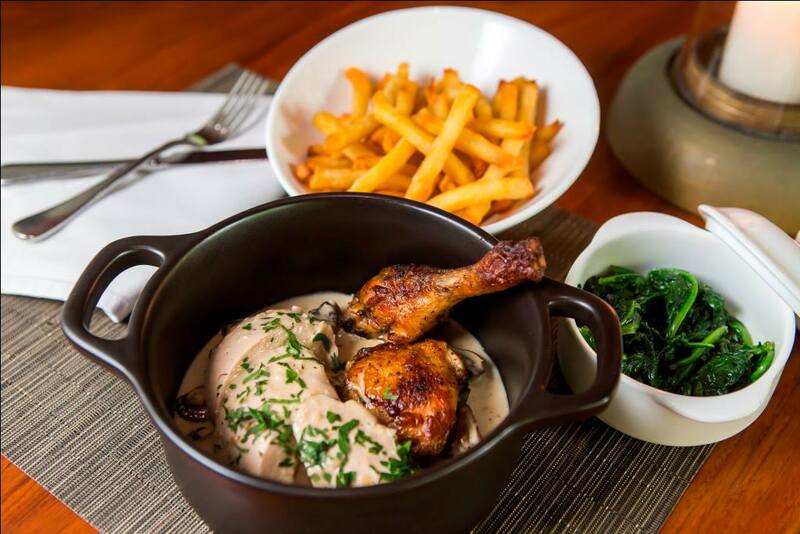 The team is also expert at hosting executive lunches and custom dinners – there is something for everyone at Chez Gado Gado. I have always loved eating Gado Gado when I come to Bali. The atmosphere and setting is lovely. I do feel however the menu and food has been somewhat been down graded from the fine dining experience I have had before. Great meal and location, they really looked after us and our children. Service is great. We have a great moment at here whereby they are kind enough to assist celebrate my wife's birthday. Entrees and cocktails fantastic. Mains very average - the chicken and the beef rendang were very dry. Location fantastic. We visited Gado Gado for a 60th birthday. The restaurant was just lovely with fantastic food and drinks. Gado Gado was recommended to us and I'd have no hesitation in recommending it to others. Love love loved this restaurant. Great food and service,  fabulous views, great coctails. We'll be back! We had a wonderful dining experience, great food and service, we will definitely be back. Had both breakfast and lunch early oct 2017. Food and service is amazing. The chocolate bananas are delicious. Will go back again and again. Excellent, friendly, attentive and professional service. The gluten free options were lovely and I appreciated having gluten free bread on my table. Very good space and good cooking. Many insects were stabbed by mosquitoes. You should bring out insect repellent. Fantastic breakfast--great food and outstanding service. Thank you! Food was to die for! I had the spare ribs and was perfectly cooked ripped straight off the bone. The dessert was the best I have ever had an oozing chocolate cake easy 5 star and would go back anytime! Definitely if you're looking for a good priced restaurant and good service I highly recommend, can't thank the staff and chefs enough. Read my trip advisor review. This is not the restaurant and the menu we remember. The specials menu was like a photocopy thrown in with the menu, and the food choices were nothing like they used to be. We have been often, but not again.